The Church Planting Supersite > tags > Yahoo! Yahoo! is the world's most visited home page. Quickly find what you're searching for, get in touch with friends and stay in-the-know with the latest news, entertainment, and sports information. 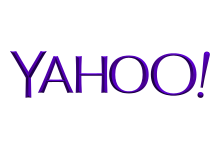 The portal also gives users access to other Yahoo! services like Yahoo! Mail, Yahoo! Maps, Yahoo! Finance, Yahoo! Groups and Yahoo! Messenger.